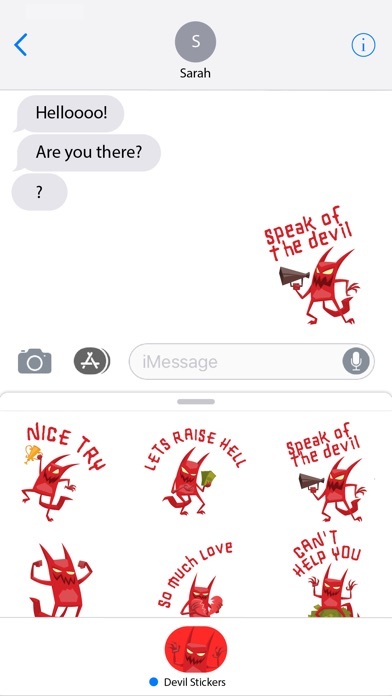 - The popular Devilish Sticker Pack from 'Snarky Stickers for Messages', now available for individual purchase. 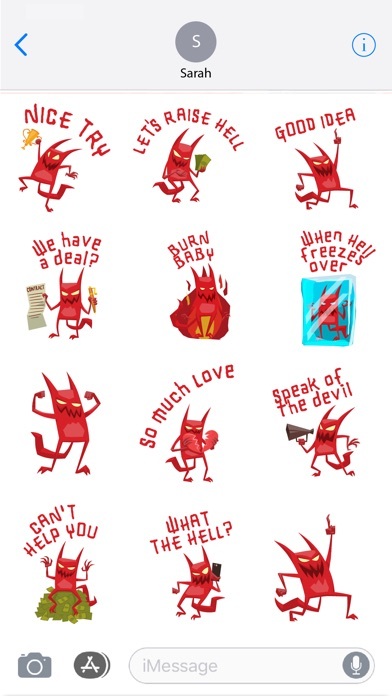 - Like the Sarcastic Red Devil Stickers but don't want to subscribe to a whole app and all the sticker packs? 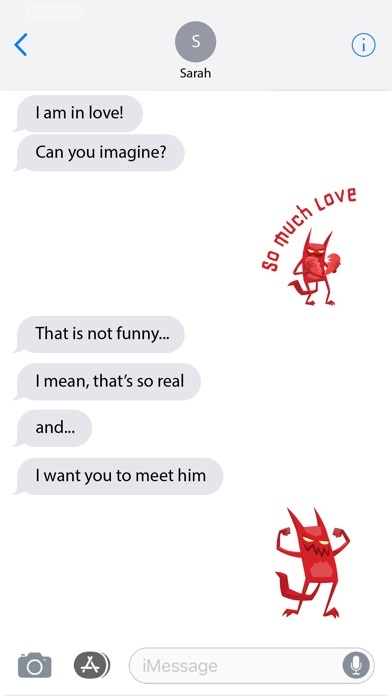 Get just the Devil Pack for a one-time price.